Apex Legends is a new game that has set records for the Battle Royale genre. It’s a first person shooter that puts you in squads of three. There’s a variety of characters to choose from, with each having their own unique abilities. The game enforces teamwork, which is a must have to become the winning team. Best of all the game is completely FREE and available on PS4, Xbox One and PC. 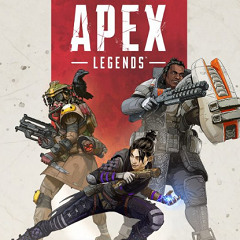 Click “GET OFFER” to download the PC version, to get the game on the consoles simply search Apex Legends in the console store.